Brightens teak and other fine woods. 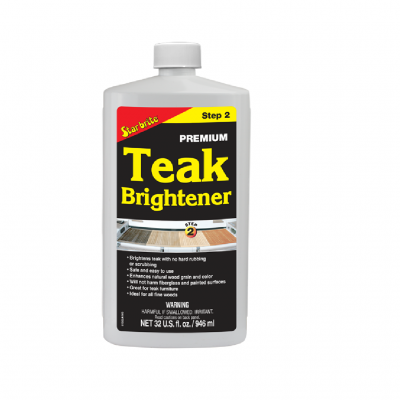 Highlights wood grain and enhances warm natural color.Use as the second step in the restoration of grey weathered teak. Brightens teak and other fine woods. 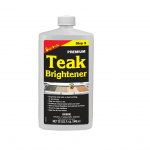 Highlights wood grain and enhances warm natural color.Easy to use – just apply and rinse. 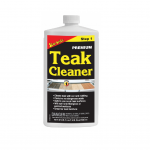 No rubbing or scrubbing required.Directions If wood is dirty and/or stained, first treat with Star brite Premium Teak Cleaner. Shake well. Apply with sponge, cloth or brush in direction of wood grain. Allow to remain on surface for 5 minutes then rinse thoroughly with fresh water. For best results, use when temperature is over 50°F. Use of rubber gloves is recommended. 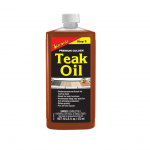 Immediately rinse off spills and drips from surfaces not being treated. 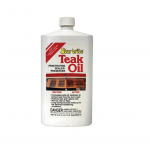 To preserve and protect cleaned wood, apply Star brite Premium Golden Teak Oil or Tropical Teak Oil Sealer.